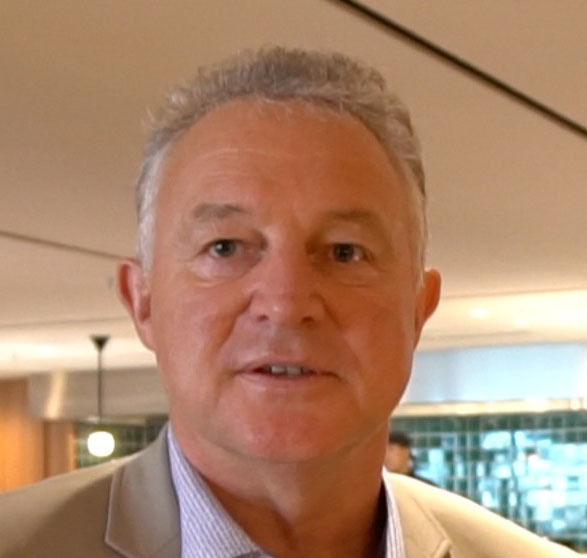 Auckland Airport chief executive Adrian Littlewood says he understands why some passengers are facing ''challenges'' as the company spends $2 billion on building work. He said airlines, government officials and his company had been surprised by the rate of passenger growth in the past few years. This has meant catch-up work as part of the plan to build ''The Airport of the Future'', and complaints from airlines, airline groups and some of the 20.5 million passengers who now use the airport every year. ''We understand the responsibility we have - big infrastructure is hard,'' he said. In the year to June 2018, the airport lifted international passenger numbers by 4.7 per cent to 10.2 million, and domestic passengers by 7.7 per cent to 9.2 million. Transit passengers are on top of those figures. Littlewood - whose total remuneration has jumped from $3.29 million to $3.6m in the 2018 year - said that at any point in the transition, there would be times when the airport didn't run smoothly. The company's profit in the year to June 30 increased 6.2 per cent to $263m and he said those who used the airport wanted more consistency. The experience needed to be good every day - not every second or third day. ''Variability can really affect passengers,'' he said. Work on the domestic terminal, now more than 50 years old, was some way off. Critics say the building is not fit for purpose given passenger volumes, but Littlewood described it as ''functional''. New food outlets, lounges, check-in areas and toilets are being built to rejuvenate it. ''That is to help us with the bridge through to the new domestic jet terminal which is a really big bit of infrastructure. We're ironing out how those processes will work and how it will integrate it into the new terminal,'' he said. The company was finishing consultation with airlines about their requirements in the new domestic terminal, which will be built onto the international terminal. Traffic to the airport has sometimes been so bad at extreme peak times that passengers and crew faced missing flights. Littlewood said passengers should allow plenty of time to reach and get through the airport. • Click here: see the 'Airport of the Future' interactive map. ''I think the best thing that people can do when we've got significant change in a fast growing aviation environment is to plan ahead - leave more time,'' he said. The company would spend about $100m on transport projects within the airport precinct over the next five years, including bus lanes, corridor protection, walkways and cycleways. Net profit nearly doubled to $650.1m, though that was boosted by the sale of the airport's stake in North Queensland Airports, worth A$370m. The airport expects moderate underlying profit growth in 2019, to between $265m and $275m, and expects to spend $450m-$550m on capital expenditure in the year ahead. The airport's total income rose to $683m. It earned $179.1m in passenger services charges (charged on all air tickets), up 2.8 per cent on 2017. The rest of its revenue came from $122m in airfield landing and parking charges, $190.6m from retail, $61m from car parking and $97.6m in rental income. The company is considering raising $175m via a bond issue towards the end of the year to help fund capital expenditure, as it undertakes a $2b infrastructure development programme. Almost half the airport's $2.06b of debt is in bonds, with 34.6 per cent, or $675 million, in fixed rate notes and 11.5 per cent, or $225m, in floating bonds.